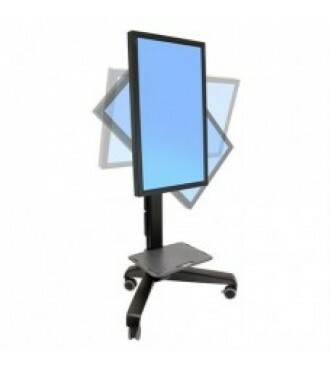 This flat panel cart stretches your investment by serving a variety of projection needs. 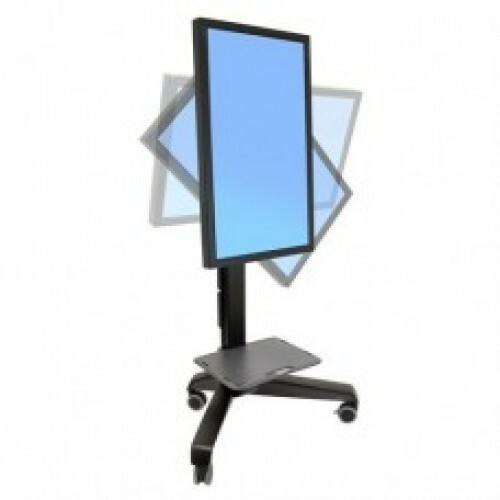 Features include portrait-to-landscape rotation, 20" (51 cm) effortless height adjustment and 20° independent display tilt. Handles displays weighing 25–50 lbs (11–23 kg).